Bread may not be a very old word, but it is old enough, and, whatever its age, its origin has not been discovered. However, the harder the riddle, the more interesting it is to try to solve it. Even if the answer evades us, it does not follow that we have learned nothing along the way. Also, one of the conjectures for which we have insufficient proof may be partially true. Etymology is about the process of discovery: the goal looms in the distance, and who cares if in the end the explorer did not reach it! There is an important addition to that story. In 1554, the Flemish scholar and diplomat Ogier Ghislain de Busbecq (1522-1592) reported that during his stay in Crimea he had met the descendants of the Goths there. He drew up a list of eighty-six words, most of which do sound Germanic. No one knows to what extent they are indeed Gothic. Some of them may well be. In any case, the study of Crimean Gothic is a well-developed discipline, even though the problems are many. Of Busbecq’s two informants one was a native speaker of Greek. The other was indeed a Goth, but he was more fluent in Greek than in Gothic. Also, Busbecq wrote down what he, a speaker of Flemish, thought he had heard, and there is no way of knowing how accurate his crude transcriptions were. His work (“four treatises”) came out in Paris in 1589, and one should reckon with misprints. Yet the survival of the Goths in Crimea at least until the end of the 18th century is a fact, and, considering how limited our knowledge of their language is, every bit of information counts. 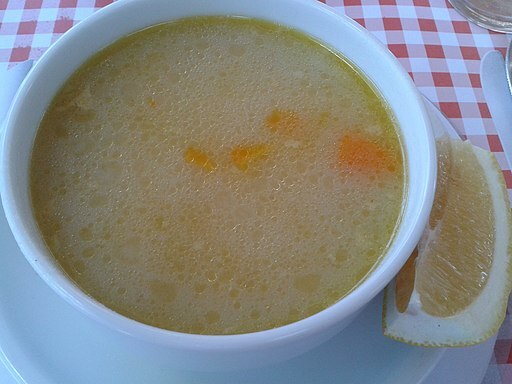 Thick broth, but not bread. Is this Gothic broe? Image credit: Chicken broth soup by E4024. CC BY-SA 4.0 via Wikimedia Commons. As noted in the previous post, apparently, the Goths had no cognate of bread, though the relevant forms existed in most Germanic languages. Only hlaifs, related to Old Engl. hlāf (Modern Engl. loaf), turned up. Consequently, if the Crimean Goths acquired a form like, for example, German Brot or Icelandic brauð (ð = Engl. th in the), such a word could be only a borrowing. Be that as it may, Busbecq recorded broe, a word without any consonant after it, and glossed it as panis “bread” (his glosses were given in Latin, and his book was also written in that language). The word did not have two syllables: the letter –e was almost certainly mute. Assuming that bro(e) was heard and recorded accurately, it did probably refer to food, but it may have meant, in addition to some sort of less solid bread (? ), also “broth.” In any case, having a late Gothic word like broth or Brot should be taken seriously. Engl. broth (with congeners elsewhere in Old Germanic) has the same root as the verb brew; therefore, broe, if it is not a ghost word, displays a pure root. Engl. bread developed from what once upon a time must have sounded as brauð-, a form whose root is identical with the Old Icelandic one, and comparison with brew, from breuw-, shows that the last consonant in bread is indeed a suffix. This suffix recurs in past participles, such as brew-ed, bre–d, burn–ed, and a host of others. Is bread indeed brewed? Before I can answer this question, I have to make a digression in a much lighter vein than the previous considerations. (The images of some of the lexicographers whose names will be mentioned below have not come down to us, but we’ll show you those whom we could find. I wish we had a picture of Busbecq!) Some etymologists tend to be monomaniacs. It was Ernest Weekley (1865-1954), an excellent linguist and the author of an English etymological dictionary and of the best popular books on English words known to me (they appeared in the first decades of the 20th century and are not remembered as well as they deserve) who made this connection. 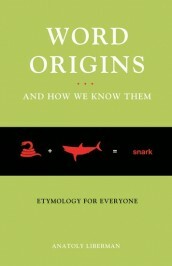 Weekley applied the term monomaniac to the etymologists who attempted to trace all words to one language, usually their own. Such fanatics never stop appearing. But Weekley’s term also fits other benighted “word sleuths.” For instance, some people believe that hundreds of words sprung from a single concept or from a single root, or from three or four roots, while others proclaim that they found one grammatical source of hundreds of words. John Horne Tooke. Image credit: John Horne Tooke by Thomas Hardy. Public Domain via Wikimedia Commons. In this blog, I have more than once mentioned the famous politician John Horne Tooke (1736-1812). Among other things, he wrote a two-volume work on etymology, which still has some reserved supporters. Tooke insisted that dozens of nouns had been formed from the past participles of verbs. The English verb bray “to crush small, pound” is a 14th century borrowing from French, but this circumstance did not prevent Tooke from suggesting that bread goes back to it (from “the grain crushed small”). Although in view of the chronology this proposal has no merit, the idea of separating -d in bread from the root makes sense. In other cases, Tooke’s etymologies cannot even be discussed. This is a brood, not a bride; nor a loaf of bread either. 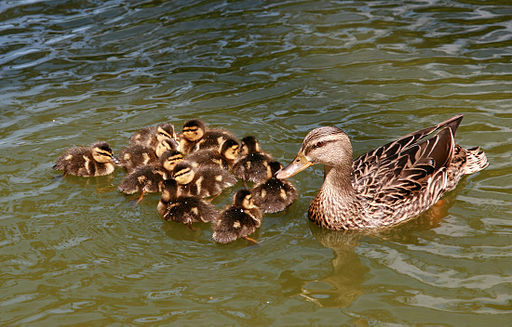 Image credit: Female Mallard with ducklings by Brocken Inaglory. CC BY-SA 3.0 via Wikimedia Commons. An 1830 reviewer of Tooke’s work accepted his main idea, but preferred to derive bread from the past participle of Old Engl. brædan (long æ) “to cook, roast, bake” (in principle, “to make warm”). The same idea occurred to Stephen Skinner (1623-1667), the author of one of the earliest etymological dictionaries of English. In Modern German, braten means “to roast”; its English cognate is brood, not bread. Tooke’s etymologies are, in principle, useless, but they were well-known through the efforts of the once famous philologist Charles Richardson (1814-1896), the author of an otherwise excellent English dictionary. It is much to the credit of John Jamieson (1759-1838), the compiler of the inestimable dictionary of the Scottish language, that he resented Tooke’s interpretation of bread. 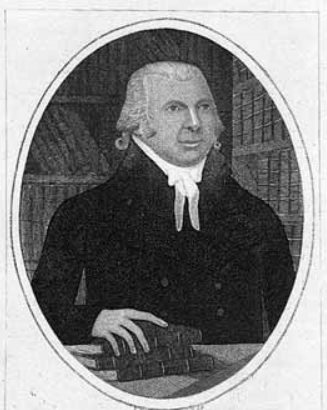 John Jamieson. 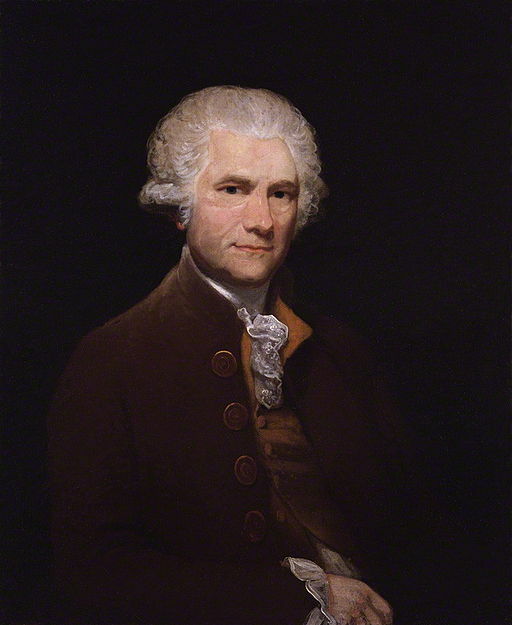 Image credit: Rev John Jamieson by John Kay. Public Domain via Wikimedia Commons. We will return to all those suspicious past participles, but first, one more monomaniac, who too has figured in this blog more than once, should be mentioned. 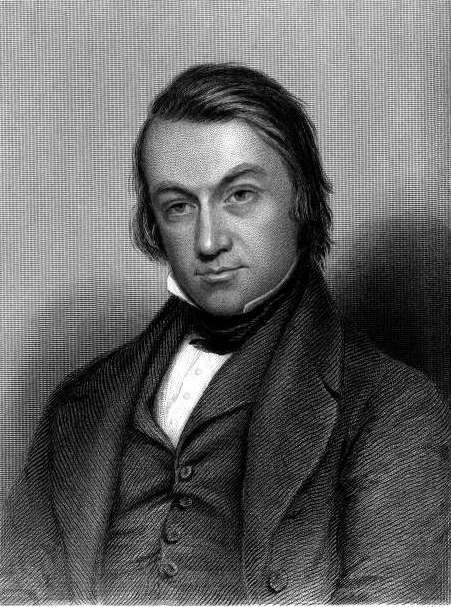 Charles Mackay, a noted poet and a good word historian, unfortunately, also wrote an etymological dictionary in which he attempted to show that countless English words are adaptations of the words of Irish Gaelic. The result was, of course, the main idea but preferred to derive bread from the past participle catastrophic, and no one consults his book today, though it contains useful summaries of his predecessors’ opinions. But, if, guided by a nonsensical principle, a patient lexicographer writes several thousand etymologies, he may once or twice guess well. This, I think, also happened to Mackay, but his derivation of bread from Gaelic brod “the choice of best quality of anything, the best quality of grain, etc.” is a museum exhibit, assuming that a museum of discarded etymologies exists. In a way, I have been working for years to build such a repository, for I believe that the authors of new hypotheses should be aware of everything their predecessors have done, in order to learn from their mistakes and avoid reinventing the wheel. Charles Mackay. Image credit: Charles Mackay by Charles Rogers. Public Domain via Wikimedia Commons. This concludes a survey of the early attempts to discover the origin of bread. To what extent later scholars have been more successful will become clear in the next posts. Featured image credit: Crimea neutral map02 by PANONIAN. Public Domain via Wikimedia Commons.